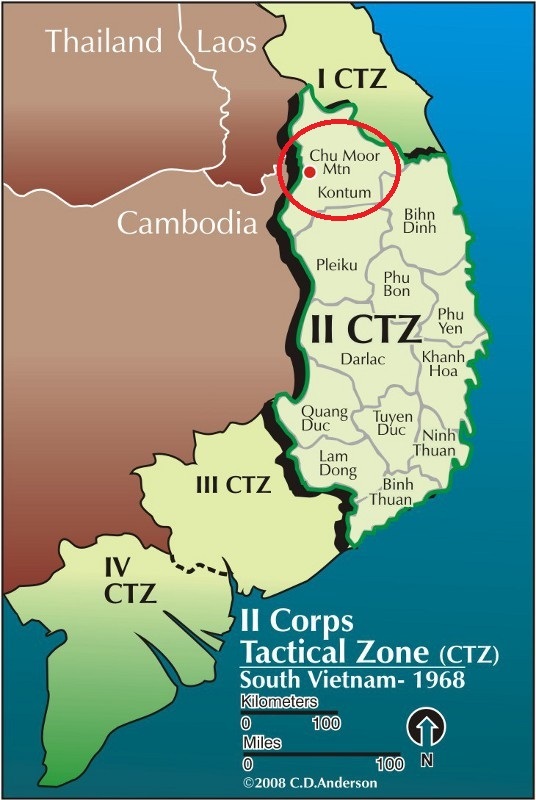 Our book is a compilation of first-hand stories from the brave troops of the 4th Infantry Division who participated in the battle between April 22-30, 1968 in Kontum Province near the Cambodian border. The Hard Copy is available online at Deeds Publishing. 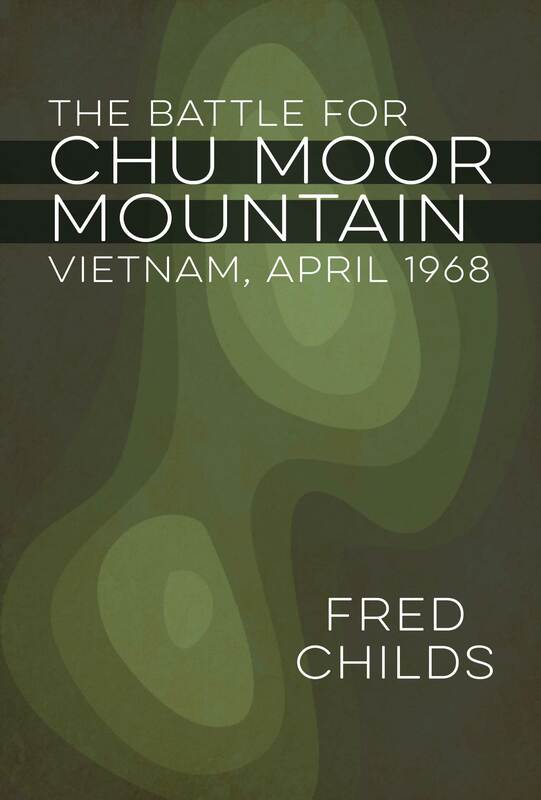 The Kindle eBook version of our book The Battle for Chu Moor Mountain is now available on Amazon. Also available for the iPad and Smartphone or PC with the FREE Kindle App from Amazon. When available purchase the Hard Cover book and bring it to our next reunion where you can have it signed. Really, the author will be in attendance. Now in color with pictures, graphics, maps. At 1602 hours, on 24 April 1968, the radio crackled out a message to the nearby fire support base, “D Company requests a basic load of ammo.” Eleven short minutes later, a more urgent message was sent, “D Company needs ammo ASAP!” In this short period of time, it had become quite evident that a large enemy force had been contacted and a battle of serious proportions was heating up. By late in the evening, ten U.S. Army soldiers had been reported wounded, a re-supply helicopter had been shot down, and D Company appeared to be surrounded by elements of the North Vietnamese Army’s (NVA) 66th Regiment. Within a week, scores more would be wounded and killed on both sides. D Company was part of the 1st Battalion, 22nd Infantry Regiment (D/1/22), 4th Infantry Division, and was the Battalion’s lead unit as it first reached the summit of Chu Moor Mountain, located in the western Central Highlands in Vietnam. Bud, On the 22nd.of April their was a patrol sent out with Lt. Mckee ,Ronnie Colson his rto, ray (skip) Diepenbrock 4.2 rto, Lyn Shanado,4.2 fo, Tony Devito rifleman,Herbie Hammon rifleman kia, Rainer Ghunsch 60 gunner his assistant ? , Toby Van Skike rifleman,. Tony Devito is the one who pulled Herbie out of the ambush not Mckee. You are correct. And that is in the book. My brother refered to charlie 1 often after returning home from nom he was a door gunner on a huey can u tell me anything about that he passed with cancer several years ago.